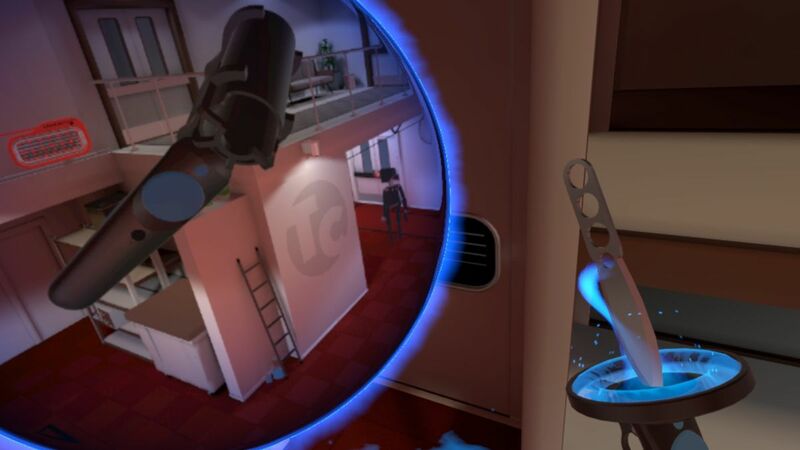 The VR stealth game Budget Cuts will be released on Thursday, developer Neat Corporation has announced. If you already own a headset, then you should take a look at it: we made it one of the most promising VR stealth games in development after a short demo, which is available here, last year. You play an employee of Mega Conglomerate TransCorp, stamp forms and filing paper. You will be involved in this work at an early stage in the game, but you are quickly warned that you are in danger: TransCorp is building robots to do the manual work to save costs. Some of your employees have already been dragged from their desks and you are next. It's basically an excuse to sneak around the office, avoid the scary machines, or stab them in the back if they get too close. There is a lot in the above release trailer. What I like most is that it makes the normally restrictive VR motion system a feature. You still teleport by hitting the ground with your controller, but every time you pick a new location, you'll get a portal-like preview of that location. That makes you peek around the corner and make sure the coast is clear before you go off. It takes about eight hours, so it should be more than just a quick gimmick. It costs $ 30 on Steam and the Oculus Store, though only the Steam site is live for the time being. marks a slight delay – it was originally due at the beginning of this month.